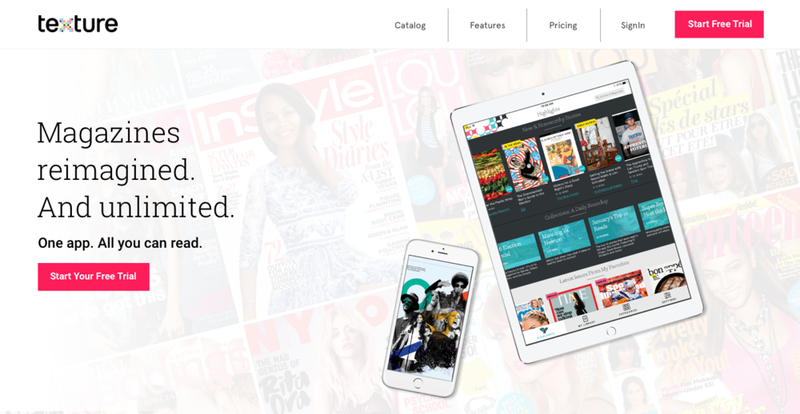 Texture (formerly Next Issue) is an application offering unlimited, digital access to over two hundred of the word's most popular magazines. As lead designer for LION, I provided many responsive UX/UI design solutions for Texture and Texture Canada's marketing websites. Projects include redesign of Texture.com's homepage (W3 Award Winner), various landing pages, payment flow, gift purchase flow, blog (Texture CA) and content portal prototype. Texture was acquired by Apple in 2018. Please contact me to request full case studies and documentation.